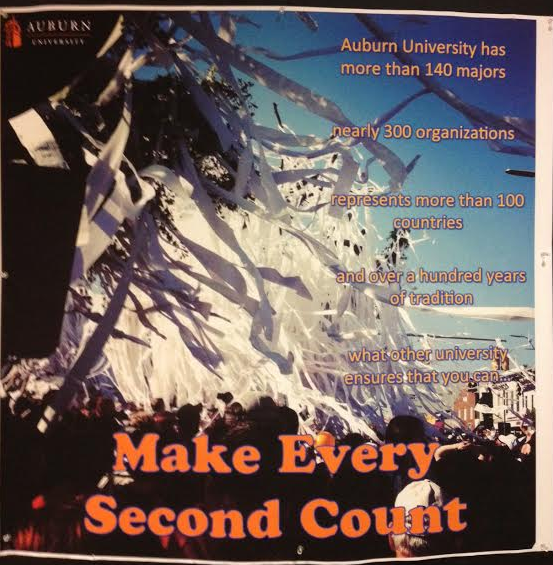 Each Camp War Eagle or so it seems a new crop of student-made posters encouraging encouraging incoming freshmen to make the most of their college years on the Plains pops up in the Auburn Student Center. And if you take a second to study the latest batch, you’ll notice a recurring theme. 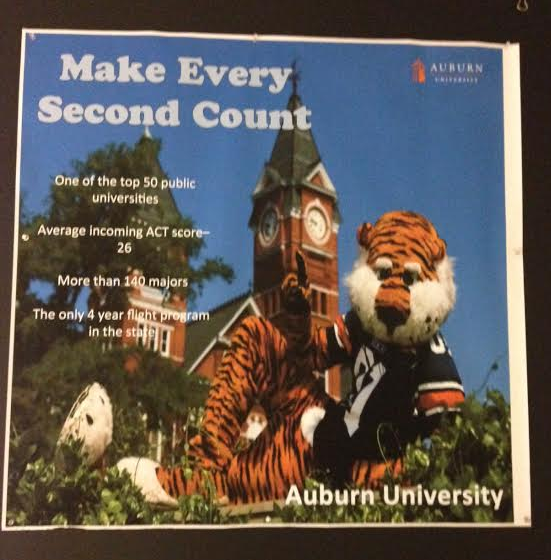 … and to take advantage of every opportunity Auburn affords you, like recent graduate Chris Davis. 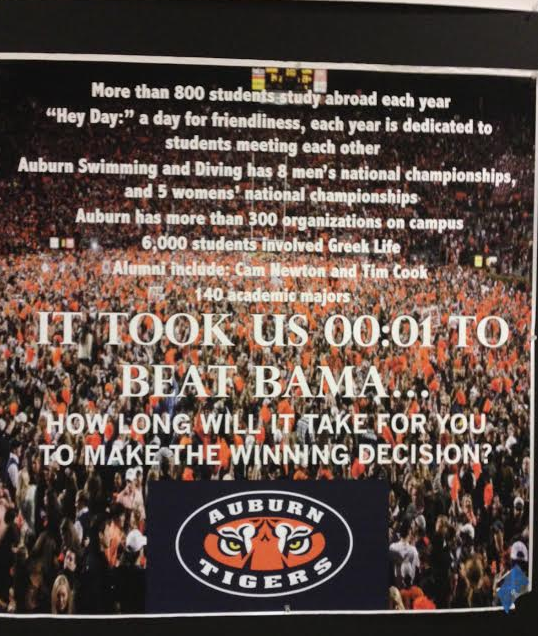 There’s even one for anyone thinking of going to Georgia. 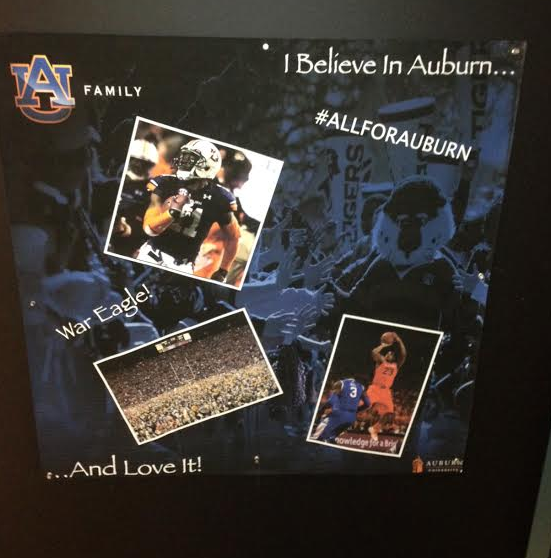 Thankfully, Gus Malzahn appears to be ushering in a new golden age of Auburn football, so hopefully none will have to be doctored with scotch tape this year. 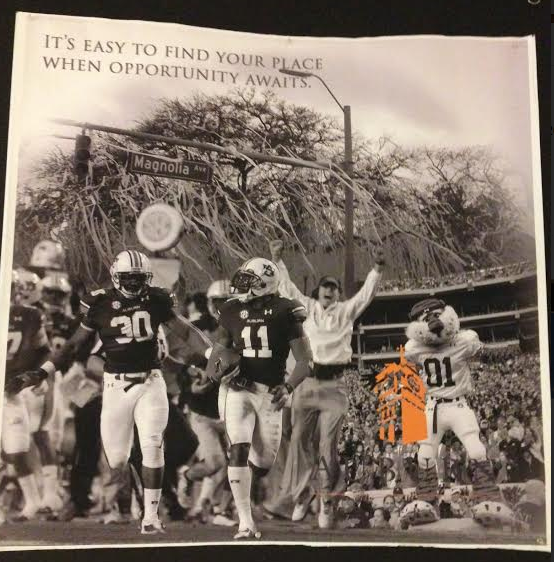 Related: Gus Malzahn photo taped over photo of Gene Chizik in Auburn Student Center display. 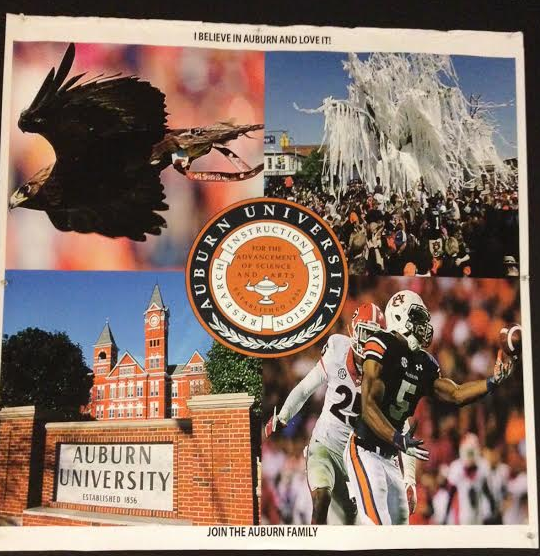 This is really cool, helps those of us not in Auburn stay in touch!